I am sorry for falling off the planet kinda-sorta the past month. While I dislike making excuses, I do feel an explanation is in order. I have just recently begun selling my baked goods for events under the name Daisy Cakes. You may have noticed that the address for my blog has changed from www.daisybitesblog.wordpress.com to www.daisycakes.net. If you did not notice, now you know! 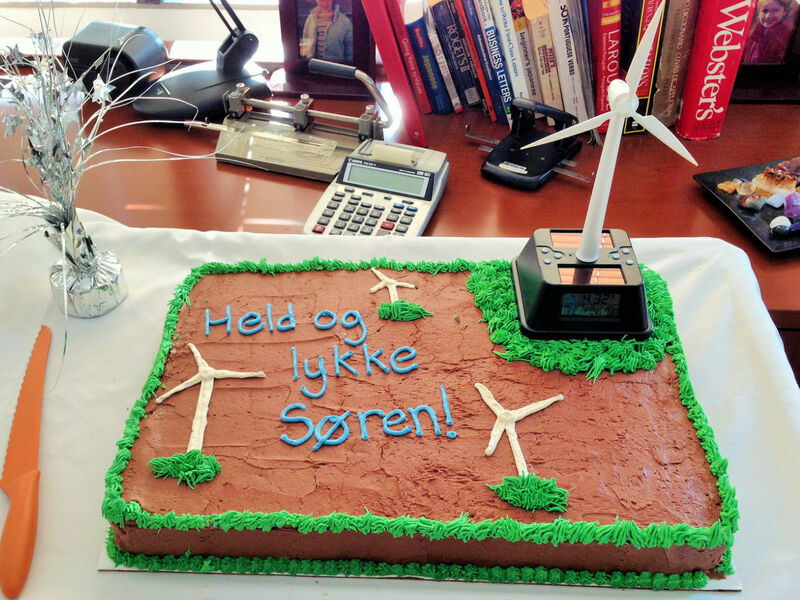 I am, obviously, small-time and doing it for fun, but it is nice to get paid to bake and decorate from time to time! The process of “professionalizing” my Facebook page and revamping my blog website to include a business side when I have no experience in webpage design or coding or business has been challenging and time consuming. Add this to getting my first two official Daisy Cakes events back to back, and another this weekend, and things have been kinda crazy over here. And then, on top of that, let’s add my consistent failed attempts to begin my official training program for my first ever triathlon on June 1st, and I am just exhausted! But, no excuse, my friends. I am sorry! I will return to the blog world of the living and all will be hunky dory. I REALLY started triathlon training two weeks ago for real, on account of I was running out of time to say, ‘well I can start next week’. It is a 12 week program, but since I was already doing more than the program does in the first 4 weeks, I started on week 5. So, today I started week 7. Therefore, I am good for now, but I will want to have some wiggle room! (I am going to Guatemala in two weeks and something tells me my workout regimen will not be strictly followed during that week.) It is going well and I am getting back in shape, and I’m almost starting to like bicycling. Almost. Also, I am playing soccer on Sundays on a coed team with Christian, on top of training, so I am trying to stay active! This is exciting. And fun. And stressful. It is a lot of pressure when someone is paying you for something! Add to that the fact that it really is personal if they don’t like the way it tastes or looks, and I have been a ball of nerves lately! 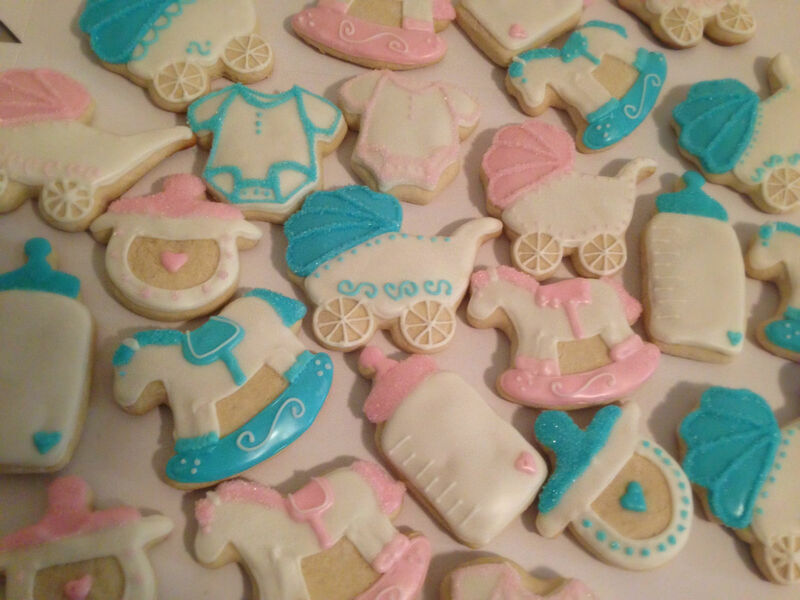 My first event under Daisy Cakes was a baby shower for a former coworker where I made 6 dozen sugar cookies. I am pleased with them…They don’t know if they are having a girl or boy. 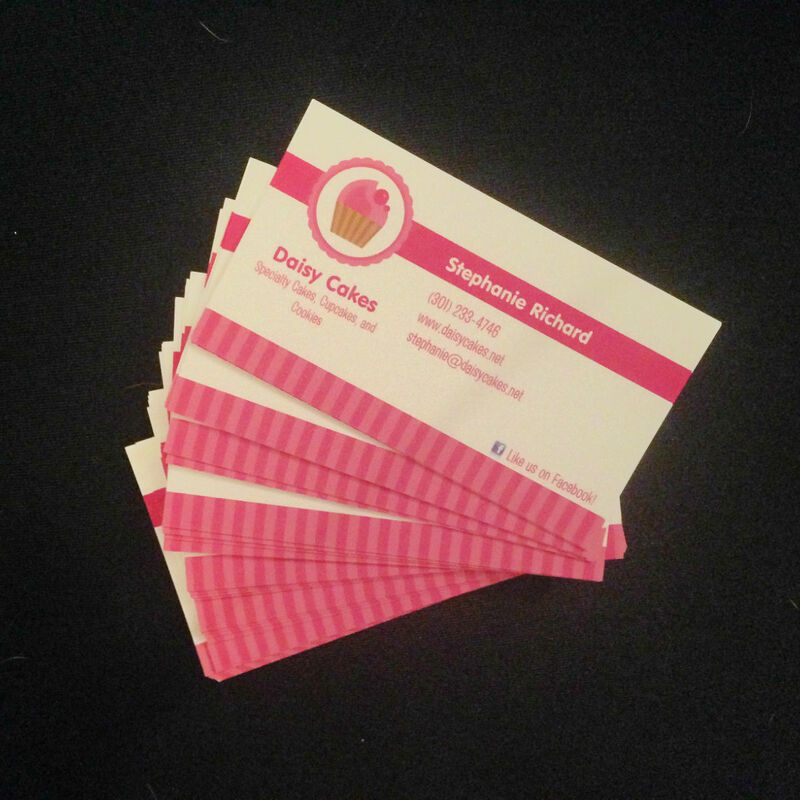 To help promote Daisy Cakes, I have printed up some temporary business cards (which are quite cute, I might add – vistaprint is quite great) to hand out at these events. I also have my awesomely artistic Uncle David working on a logo for me. Once that is all set and good, I am going to reprint new business cards with a beautiful new Daisy Cakes logo on it. I have decided to take the plunge. It is a necessary, unavoidable, and critical purchase. I say critical because I think my hand mixer is on its last leg. When I made sugar cookies the other day, I’m pretty sure I almost killed it. I smelled the motor burning and the blades were piping hot when I ejected them from the mixer. It is sure to die at the most inconvenient time. Moreover, it is not really meant to handle dough like my sugar cookies, and my favorite vanilla butter cake recipe also really pushes the limits of my piddly little hand mixer. Moreover, I think a stand mixer would make my baking exponentially easier. Moreover, on Saturday, I bought I shelving unit from a neighbor who just moved out (for $10 – can’t beat that!) for the sole purpose of having somewhere to put my Kitchenaid stand mixer. Moreover, I really want one and my last reason for not getting one was that I had nowhere to put it, but that is now solved with my new shelf! So, since I am out of reasons to NOT have one, I guess I am getting one. I just purchased a cranberry pink Artisan Series 5 quart KitchenAid Stand Mixer!!! Can’t wait for it to arrive!!! …All in all, LIFE is what has been getting in the way of blogging, but I have not forgotten about you! I love my blog so much and take great pride in it. Even when posts get far and few between. With that being said, stay tuned for more news and photos from Daisy Cakes!